Saint Gianna’s Feastday is April 28 and her birthday is October 4. And have made us the People of Life. And the profound dignity of human life. 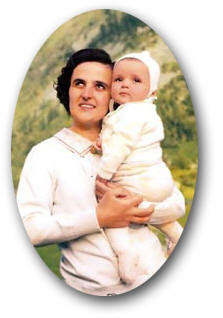 of Saint Gianna Beretta Molla. Whom you called from this world just 50 years ago. By which she sacrificed her life for that of her child. St Gianna Molla, pray for us! Pray for all mothers and their unborn children. Beg from God the grace for us all to build a culture of life. Amen!